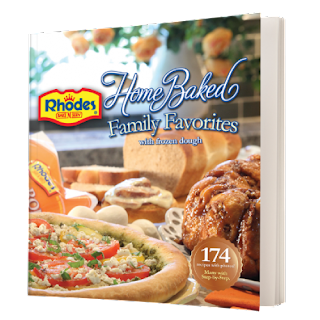 Win a cookbook from Rhodes Bake N Serv! Today I am blogging over at the Rhodes Blog. I am demonstrating how to make double cheese pinwheels. I hope you stop by and check it out. They are really easy to make and taste great! Your kids will love helping you make them too. to one Whatever DeeDee Wants reader! I would love to win this fabulous cookbook!! I would love to win a cookbook too! I would love to make these, but I can never find Rhodes! in NY. Can you let me know where to buy. I use to live in Houston, Texas and loved Rhodes! You can find Rhodes products through the Rhodes product locator. Use the link below. No matter what brand of Bread machine you have, Rhodes is cheaper and I love the taste. I stopped by Rhodes and left a comment on the blog! I like Rhodes on FB as Anne Loyd. I follow Rhodes on Twitter as Anneliz702. I subscribe to Rhodes on you tube. ooo sounds like lots of yummy ideas!